Eggplant is one of the few summer vegetables that I eat cooked only, never raw. 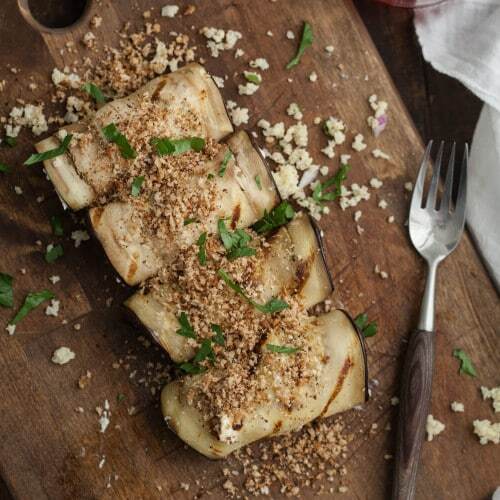 Grilling, roasting, stir frying, and sautéed are all great ways to prepare eggplant. A note about salting: I don’t do it unless I find the eggplant to be bitter. Thanks to this article, eggplant with a good texture is often the result of how it is cooked, not the salt trick. High heat and just enough oil to brush the eggplant to avoid sogginess are key. Look for eggplants without blemishes, soft spots, or cuts, and are firm to the touch. Eggplant should have heft to them as well. Eggplants are finicky, as they do not like cold but the warmth of a room can cause the eggplant to soften quickly. Store the eggplant in a cool place in your kitchen, never in your refrigerator, and use within a couple of days of purchase. I often tell people that I’m slightly a ‘bad’ vegetarian. I don’t do tofu, avoid mushrooms, and for the longest time, I went out of my way to not cook eggplant. Chalk it up to unfortunately trying it for the first time when it had been prepared in the wrong way, overcooked and slimy. 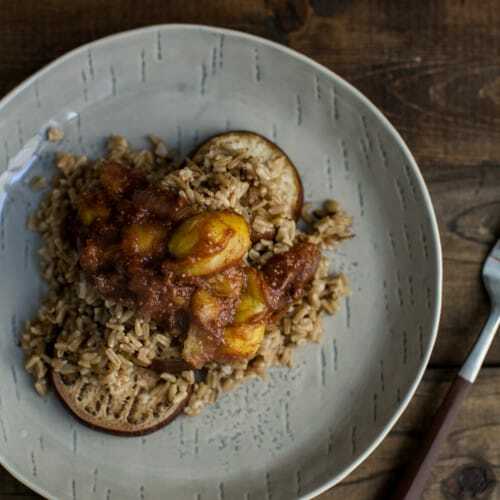 It took me some time to warm up to eating eggplant, but once I did, I found it a lovely addition to my summer recipes. Eggplants come in a plethora of varieties that have a wide range of uses. My favorite ways to eat it are simply roasted or grilled. From there, I toss it on salads, roll it with a bit of cheese, and add to pastas. Beyond the salting issue, I choose not to peel unless the skin seems especially tough. Also, if you choose to prepare the eggplant in advance of cooking, it will start to brown, but will not be noticeable after cooking.